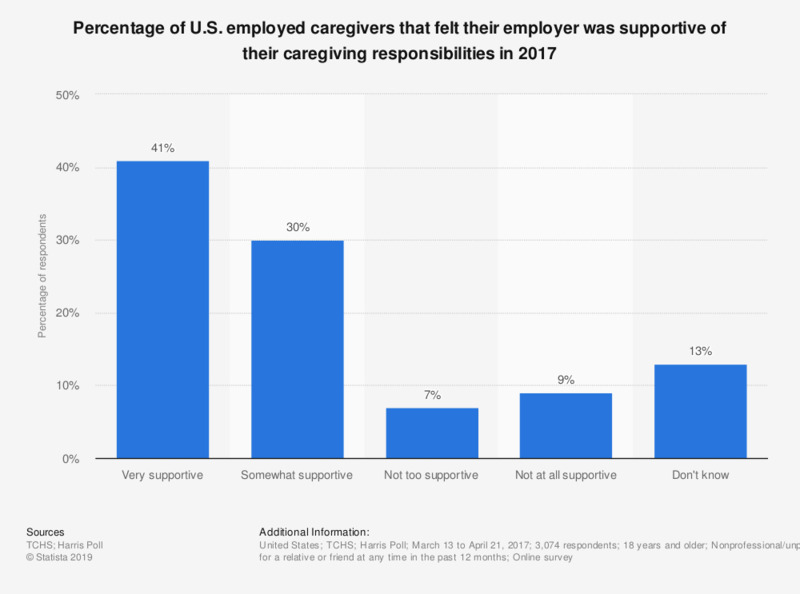 This statistic displays the the percentage of U.S. caregivers that felt their primary employer was supportive of their caregiving responsibilities in 2017. According to the survey, 41 percent of respondents that were employed full or part-time felt their employer was "very supportive" of their caregiving responsibilities. Original question: "How supportive is your employer of your caregiving responsibilities?" Only asked of those employed full-time or part-time.